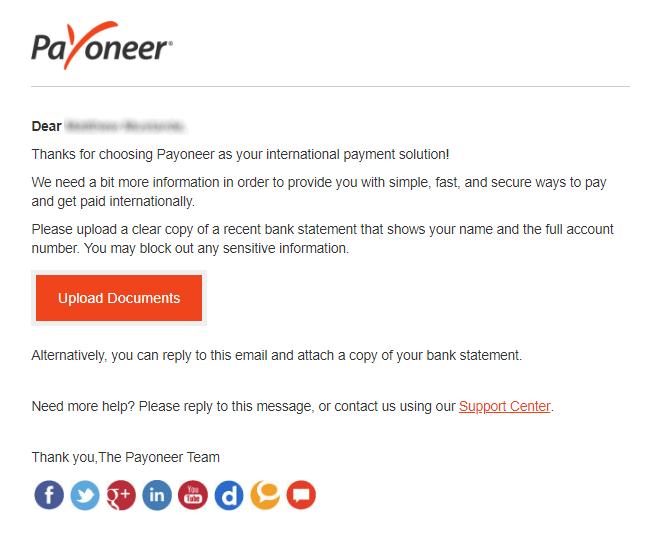 This is part 2 of our Payoneer Guide. Looking for part 1 or part 3? 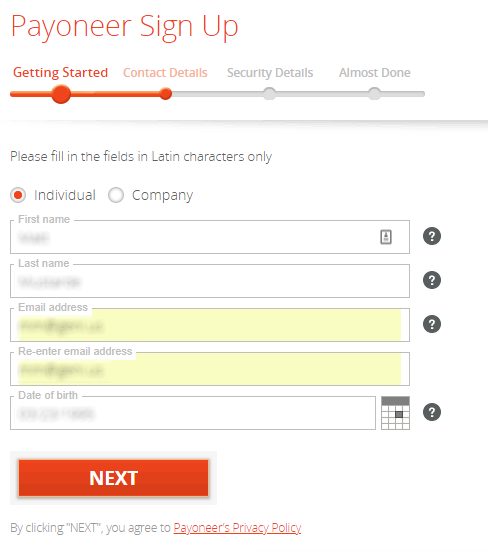 If you don’t already have a Payoneer account, it’s time to create one. 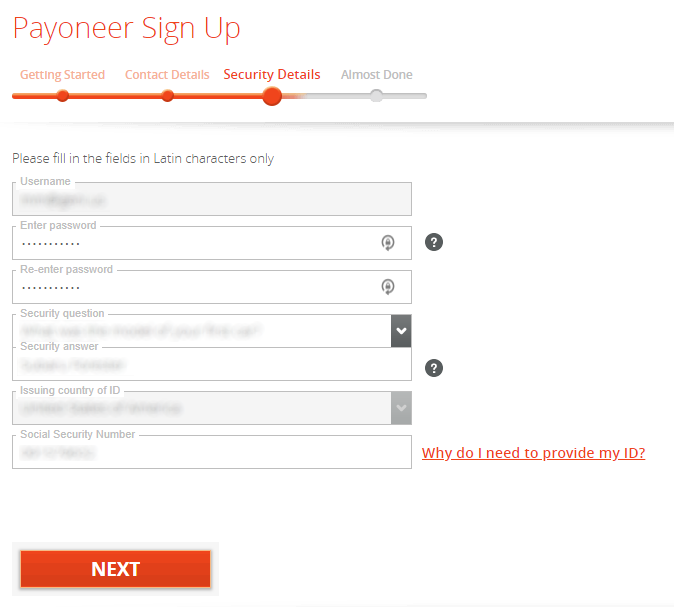 Create your free Payoneer account here! Getting started is easy, begin by entering the basic information about who you are. 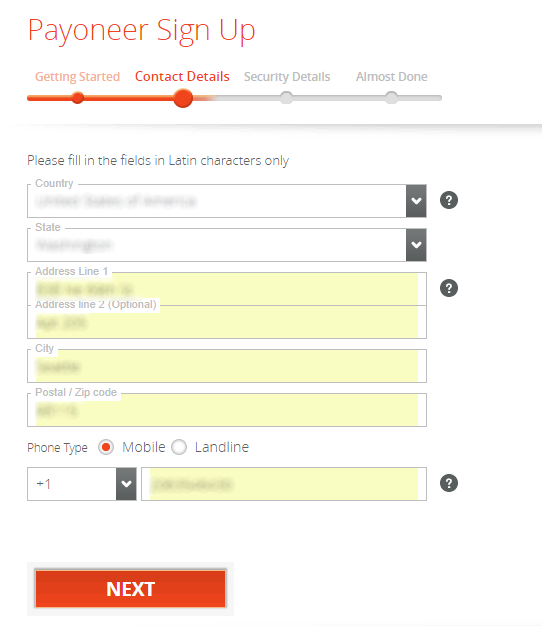 Next, let Payoneer know where you live, and how they can contact you. This is the next really important step, entering your local Bank Details – fill out the form with the information for the personal bank account that you wish to be paid into. 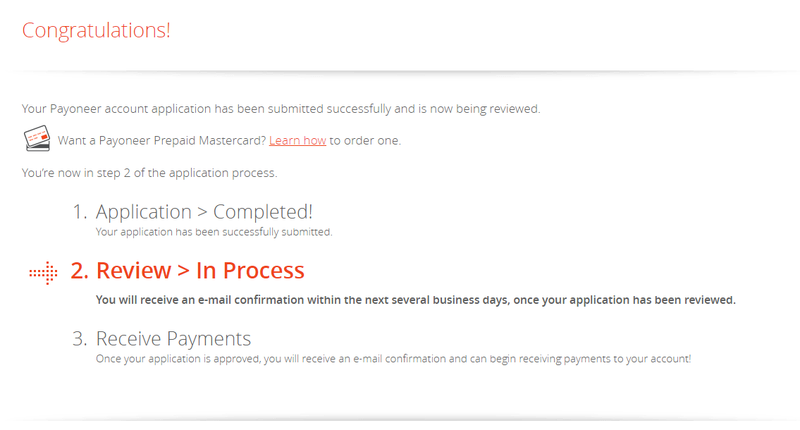 After completing the sign-up process, your application will need to be submitted for review before it can be approved – this usually takes 3-5 business days, and you may be expected to submit additional information (such as a recent bank statement) to complete the process. After submitting your application, you may receive an email notifying you that additional information is needed in order to verify your identity. In this case, you’ll need to upload a recent bank statement that shows your name and full account number. Now go outside and enjoy some fresh air. There is nothing much you can do while you wait for approval! 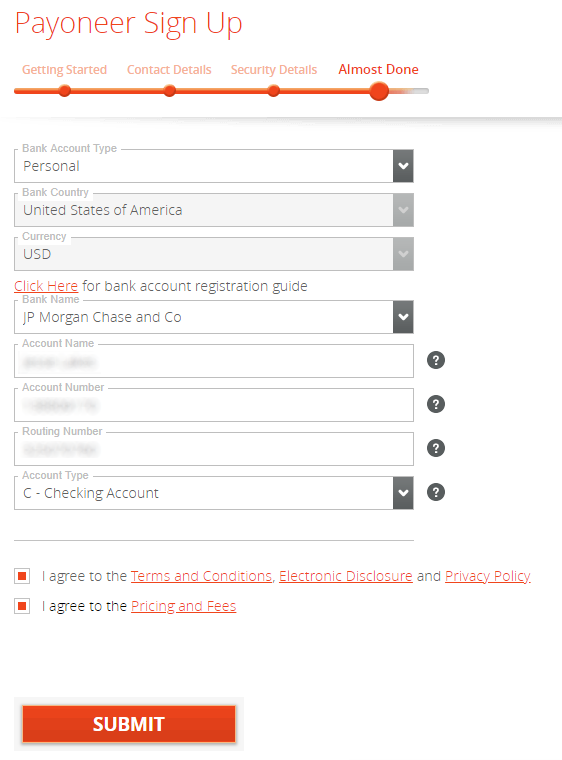 Once you've been approved, move on to part 3 of our Payoneer Guide to get started with setting up bank accounts for the international currencies.